Assorted fresh fruit basket of delicious seasonal fruits including a pineapple. 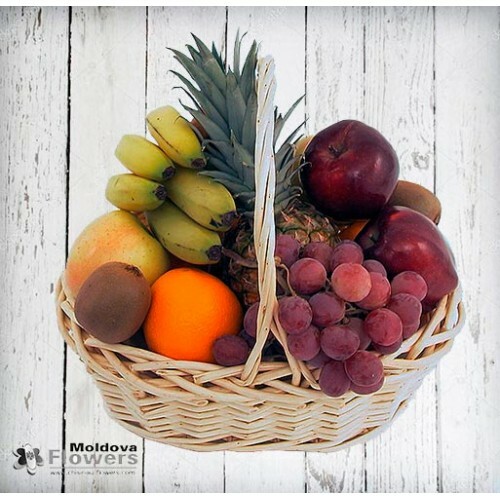 Please note that fruits used will be subject to seasonal availability and local supplies across Moldova. Chisinau Flowers - the best way to send gifts to Moldova. Try our Moldavian flower delivery service, and you won't regret. Always best quality, price and customer service.